This is freaky! Anthropologists discovered a sixteenth-century skeleton that had ovarian teratoma. What’s ovarian teratoma? Kristina Killgrove explains that it is a “modern medical term coined from the ancient Greek words for ‘monstrous tumor,’ a teratoma usually presents as a cyst composed of multiple types of cells. This essentially means that a teratoma can grow into a variety of different tissues, including bone, teeth, hair, and organs.” Apparently it’s common today! 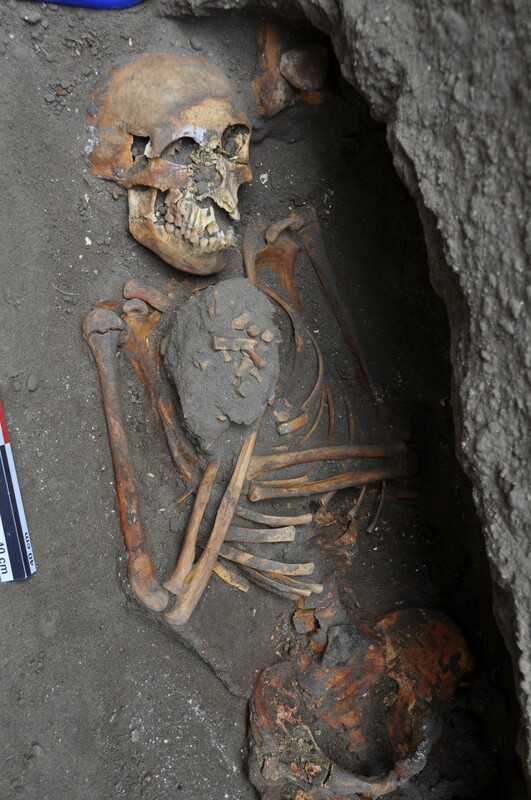 ‘Evil Twin’ Ovarian Tumor Found In Skeleton From 16th Century Peru.